Did you know transmission costs is another electricity cost component you have some control over? NSPL Management Services available at AEP Energy can help you do just that. Our experts explain how. In previous editions of Customer Insights, we’ve discussed methods by which customers can strategically plan energy procurement. Much like capacity, transmission costs is another electricity cost component you may have some control over. NSPL Management Services available at AEP Energy can help you do just that. In this edition, we’ll explain what you need to know when considering managing your transmission costs. Today, there is a growing emphasis for customers to manage their “Energy Spend”, with many blending power supply purchases through “Forward” and “Spot” markets. Furthermore, customers are now managing the demand-based billing components, which constitute 20-40% of their total bill, while being driven by less than 1% of their annual energy consumption. Customers achieve lower demand-based charges via load management strategies, particularly lowering their capacity commitment, and in some cases their transmission costs. Lowering these demand-based charges requires predicting the 5 Coincident Peaks (5 CP) in PJM, which is complicated in itself. However, predicting Zonal Transmission Peak(s) is even more challenging. Over the last five years AEP Energy has successfully helped save customers tens of millions of dollars in capacity costs by predicting PJM’s 5 CPs and issuing curtailment alerts. Additionally for the last two years in select PJM zones, AEP Energy has also provided a similar projection of Zonal Transmission Peaks for customers looking to manage transmission costs. Before delving into how AEP Energy can help customers manage transmission costs, it is important to understand three key terms and how these costs are established. • Network Service Peak Load (NSPL): NSPL is a value unique to each customer and is determined by their energy demand level during their local utility’s zonal transmission network peak(s). • Network Integrated Transmission Service (NITS): NITS rate is based on the Federal Energy Regulatory Commission’s (FERC) formula filing taking into account all the dollars spent on transmission projects and maintenance. The NITS value is specific to a utility and may or may not change annually. As outlined above, the two main components that drive a customer’s transmission costs, NSPL and NITS, are specific to the customer’s utility and the zone where they are located. Each zone has its own distinct methodology for determining the NSPL peaks and the period over which the NITS rate applies. For example, depending on the utility, customers can expect the NSPL tags to be based on either one coincident peak (“1 CP”) or five coincident peaks (“5 CP”). Furthermore, the time period over which the peaks are tracked can vary anywhere from an annual cycle, summer only, or greater of summer or winter peak load. Table 1 outlines the number of applicable peaks by Utility as well as the Time Period. The NITS rate and the effective year over which it is applicable are unique for each utility. Unlike the PJM auction process which gives customers a general idea of their capacity costs three years in advance, there is little customers can do to prepare for the potential year-over-year change in transmission rates. 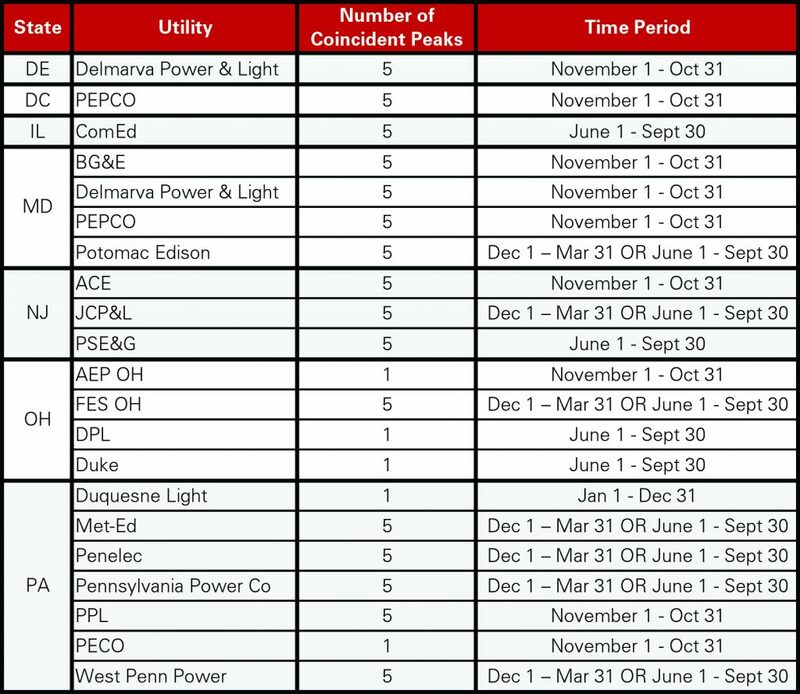 Table 2 outlines the Current PJM NITS Rate by Utility and the time period over which it is effective (some utilities are affected by FERC action which makes the applicability of the Transmission Rate dynamic). Also included is the percentage change from the Previous Posting, which is as high as 47%. Such significant percentage increases makes proactive measures that customers deploy on “Transmission Pass-Through Product” worthwhile. However, unlike RTO-wide Peak Load Contribution (“PLC”) peak tracking for capacity, as seen in Table 1, transmission peak tracking is complex, and that is where AEP Energy can provide a value-added service to you. AEP Energy’s NSPL Management Service is a value-added service that, together with our recommended ”True Cost” products, helps customers manage and reduce their transmission demand costs. AEP Energy monitors forecasted Zonal Transmission Peaks in applicable local utility zones and issues alerts so that customers can take appropriate curtailment actions to reduce their NSPL tags. • Forecast Day Weather Score: evaluates forecast day weather profile and calculates score based on temperature, humidity, and other similar factors. • PJM Zonal Forecast Score: evaluates the 7-day forecasted zonal load from PJM’s website, and calculates score based on historical peak load triggers. • Historical Similar Day Score: evaluates most recent year’s weather profile and picks the day having the most similar weather profile with the forecast day. The score is calculated based on historical peak load triggers. • Red Alert: Forecasted Hour Ending load is above 97% of projected peak load for the zone. • Yellow Alert: Forecasted Hour Ending load is between 90-97% of projected peak load for the zone. If customers ignore a Yellow Alert, there is a risk of missing one or more of the Zonal Transmission Peak hour in a year with milder temperatures. In order for a customer to benefit from NSPL Management Service, it is imperative that they have an interval meter installed so that their curtailment data can be captured by the utility. 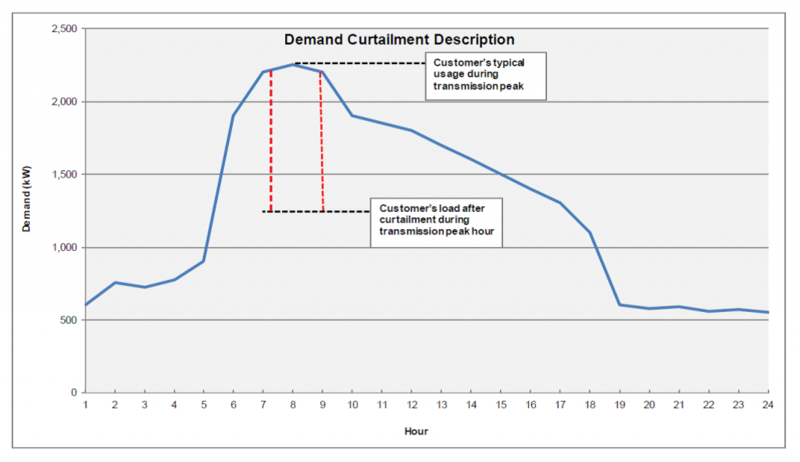 Figure 1 shows how a curtailment is represented (as red dotted lines), as opposed to their typical behavior (in blue) in the absence of curtailment effort. The difference when multiplied by the local NITS rate reflects savings due to participation in the NSPL Management Service. Transmission Peak hour(s) in different zones during 2017. 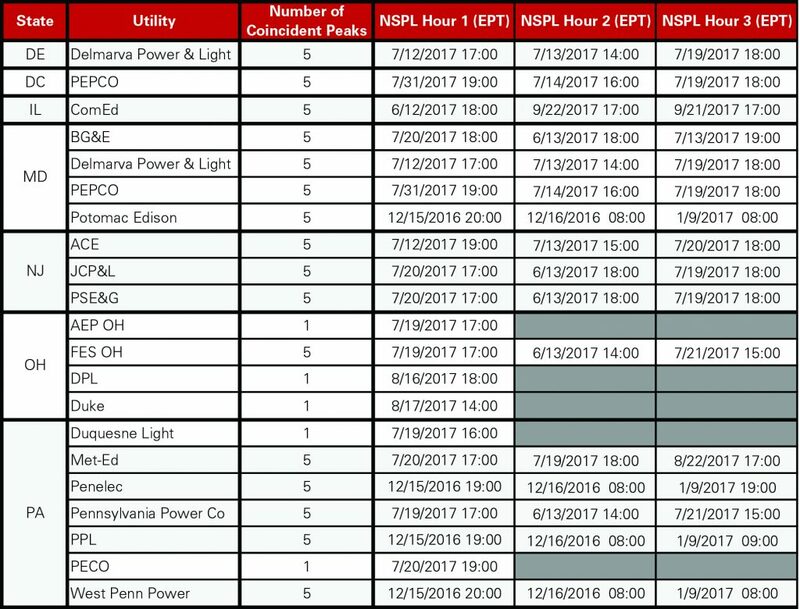 Currently AEP Energy offers NSPL Management Service in ComEd and West Penn Power as well as customer’s enrolled in “Transmission Opt-Out Pilot Program” in Ohio utilities. Transmission services for Ohio customers are mostly billed through the local utility companies. Here, each utility allocates their transmission costs to the customer in a manner that may be different than outlined in Table 1. For example in AEP Ohio, PJM prices transmission services on a one coincident peak (“1 CP”) method, but AEP Ohio allocates transmission costs on a twelve coincident peak (“12 CP”) method and bills customers on the customer’s monthly peak demand. This makes it challenging for customers to manage their transmission costs. In recent years, AEP Ohio, First Energy Ohio and Dayton Power & Light have instituted opt-out pilot programs for certain customer classes. These participating customers can revert back to managing their own NSPL tags. Customers that are eligible to participate in these opt-out programs can realize significant savings. Contact your AEP Energy sales representative to see if you may be eligible to participate in one of these programs. Managing NSPL tags is an effective way to lower demand costs and an under-utilized task as compared to PLC management. AEP Energy is happy to partner with customers and provide this service. For maximum savings, customers must be able willing to follow alert signals around the year or part of it, depending on the location. In either case, it is something worth exploring for customers through a partnership with their AEP Energy sales representatives. • Volatility continued through January 2018 as significantly cold temperatures in the beginning of the month pushed up winter natural gas and power prices to levels not seen in since the 2014 Polar Vortex. • However, by the end of the month, warm temperatures and warmer forecasts resulted in natural gas only being marginally higher with power finishing mostly lower on the month. • Prompt month (February 2018) natural gas at Henry Hub closed up $0.042/MMBtu to $2.995/MMBtu. • Balance of the year (March – December 2018) closed up $0.113/MMBtu to $2.934/MMBtu. • Calendar year 2019 was up $0.029/MMBtu to $2.832/MMBtu. • In power, after February 2018 on peak AEP – Dayton Hub traded as high as $59.00/MWh early in the month, it ultimately settled at $42.15/MWh, which was up just $0.15/MWh for the month. • Further out the curve, the balance of the year (March – December 2018) was off a penny to $34.52/MWh. • Calendar 2019 was off $0.95/MWh closing at $33.76/MWh. 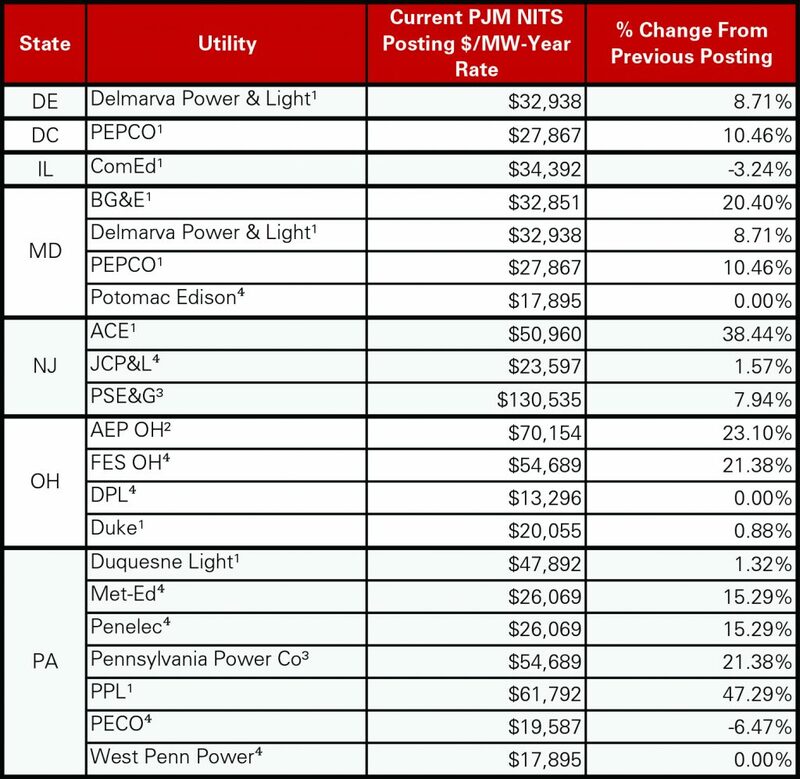 • PJM re-posted transmission rates for New Jersey utilities JCPL and PSEG in February. JCPL’s rate is $23,597/MW-year and PSEG’s rate is $130,535/MW-year. • Pepco DC and MD transmission rates updated to $27,867/MW-year. • PJM ComEd zone January 2018 day-ahead on-peak closed $44.65/MWh, up increased dramatically by $12.17/MWh from December’s close. • MISO Illinois.Hub January 2018 day-ahead on-peak closed $40.64/MWh, up significantly higher by $13.07/MWh from December’s close. • Much higher power prices due to artic cold temperatures throughout much of the Midwest and across the United States during the month.